Congratulating President-elect Donald Trump and Vice President-elect Mike Pence on their victory, Clinton’s running mate called on all elected officials to “put this divisive election behind us” and work with the new administration, a task he will now have a direct role in as a Virginia senator. “We need to do all the good we can and serve one another. That is what I’m about. And it’s why, in the Senate, I’m committed to working with both parties and President-elect Trump to find the common ground to move our country forward,” he posted. 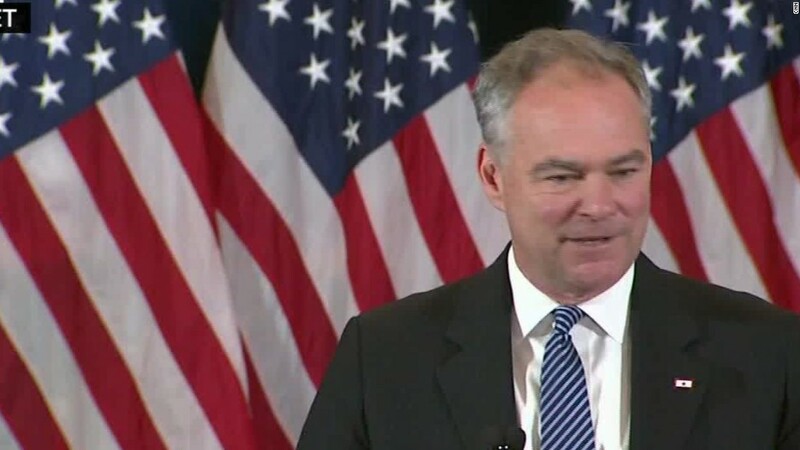 Kaine introduced Hillary Clinton Wednesday afternoon as she gave her concession speech and returned to his hometown of Richmond later in the day with a small team of aides. By evening, there was no longer a Secret Service presence at his home. A crew was seen removing the “Clinton Kaine” decal from his campaign plane at the Richmond International Airport, which would go on to fly a basketball team Thursday.